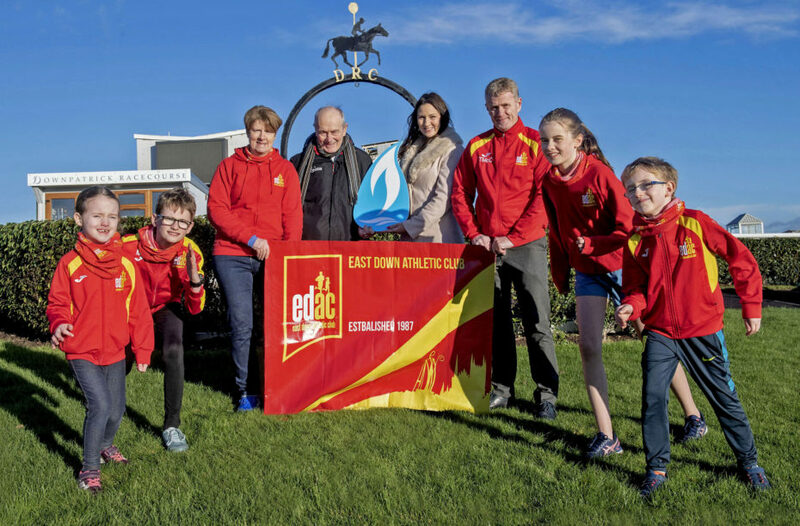 East Down Athletic Club and Phoenix Natural Gas today announced the return of the Rollercoaster Races, which this year will take place at Downpatrick Race Course on Saturday 2nd March. The event, which this year is exclusively for junior runners, will see over 200 children participating in races determined by their age group, around the scenic racecourse, with Team Shields for P7 Girls and Boys. Phoenix Natural Gas will once again be on hand to provide a ‘Fuelling Station’ with water and giveaways to help fuel the runners on the day. Entrants will also receive a special Phoenix Natural Gas medal. Phoenix Natural Gas Communications Manager, Geri Wright, said, “Last year, we lent our support to East Down Athletic Club to revive the Rollercoaster Races and reinstate this in the local racing calendar as the flagship running event for juniors. Over 200 children took part in the event last year, which was a resounding success. “As a company actively involved in supporting its community, we are delighted to launch the Rollercoaster Races here at Downpatrick Race Course. Phoenix Natural Gas has been working in the Downpatrick area for the past year now to bring the benefits of natural gas to local residents and we are delighted to continue our partnership with the event for a second year and give back to the local community. Follow East Down Athletic Club on Twitter @eastdownac or Facebook search East Down Athletic Club. Registration: Entries for all races will be taken on the day from 9.30am – 10.30am in the Caughoo Lounge.